As the Festive Season approaches it’s time to treat your skin to a luxury facial that delivers results and relaxation. 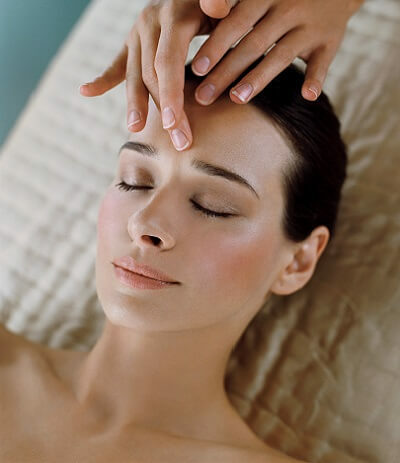 Until 9th December we have special offer for you, with £20 off facials of 60 minutes or more. The offer can be redeemed any day of the week at either salon, for bookings between 8am and 5pm. Our most popular 60 minute facials include the Zen Custom Facial, our luxurious anti-ageing Red Carpet Facial, Diamondtome microdermabrasion, and the CACI non surgical facelift. If you have not had a facial for a while or aren’t sure which one is right for you, we would recommend starting with our Zen Custom Facial (only £59 with this offer). A Zen Custom Facial is the perfect combination of a results-driven ageing treatment and a deeply relaxing spa experience. What’s more each Custom Facial at Zen is a truly unique experience, tailored to your own skin type and current skin condition. After a detailed consultation your therapist will select products from Dr Murad’s advanced cosmeceutical skincare range and create a special and bespoke facial experience just for you. Whether you want to regain a youthful, luminescent glow, stop dehydrated skin in its tracks, or just need some intensive pampering, our advanced Custom Facials really do it all. But don’t just take our word for it, check out what Grazia and Stylist journalist Emily Murray revealed about her Zen facial experience in her facial review article. If you would like to find out more about our facials please just give us a call and speak to one of our knowledgeable receptionists.We’re here to help! This is an off peak offer for bookings between 8am and 5pm Monday to Sunday. Offer ends on 9th December and cannot be combined with any other discounts or concessions.